Over the past few months we’ve reported regularly on Volkswagen’s projects as it works on its large scale electrification plan. 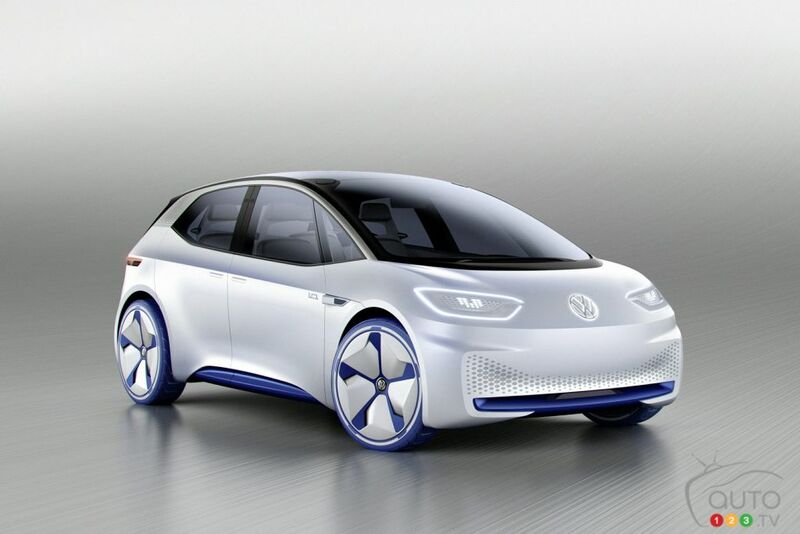 And one of the first vehicles to come out of all that R&D will be a compact hatchback, the Volkswagen I.D. Details are gradually emerging about this model, the concept version of which debuted at the Paris Motor Show in 2016. 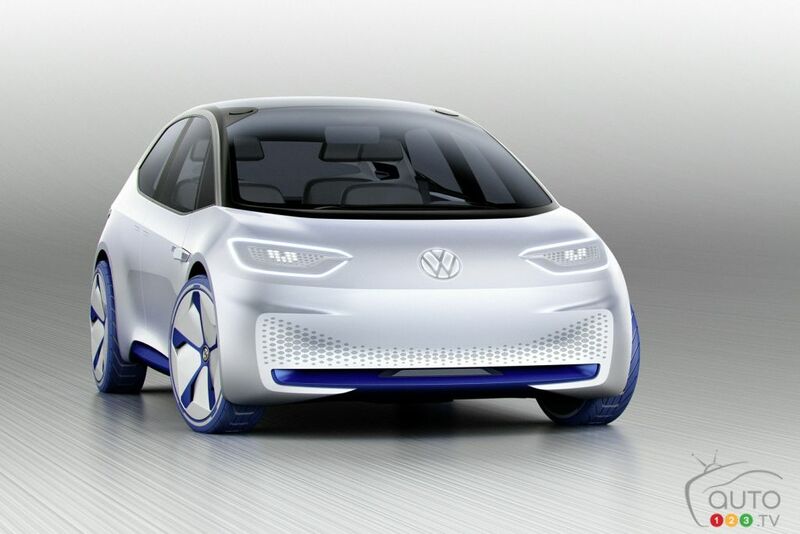 VW is planning to produce two versions with different ranges. The more expensive of the two will get a bigger battery pack giving it a range of over 400 km. 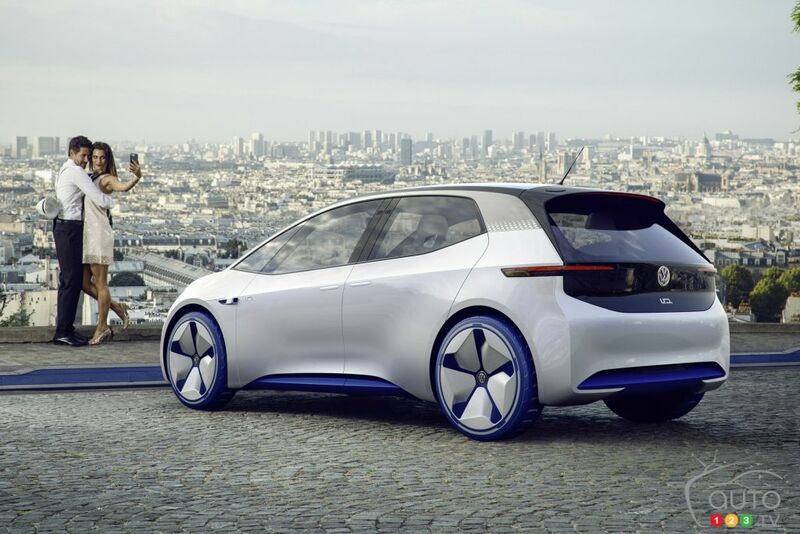 But the automaker has long promised it would deliver electric models to fit even tight budgets, so it will also create a smaller-battery version of the I.D. ; this model will get a range of around 300 km. Speculation is that this more affordable variant will cost a little less than $23,000 in the U.S., or just under $30,000 CAD. As for the more-expensive version, a VW spokesperson mentioned that it should get a price point very close to that of the diesel-engine Golf. Since we don’t have that version in Canada it’s hard to draw any conclusion from this bit of info, except to say that the diesel-powered Golf sells in Europe for the equivalent of between $30,000 and $45,000 CAD. It’s a fairly safe bet that the Volkswagen I.D. will retail for more or less what segment rivals currently on the market go for. In the case of the Hyundai Kona, for example, while we don’t yet know the exact asking price for the Kona electric version that will soon hit the market, it’s expected it will be around $40,000. 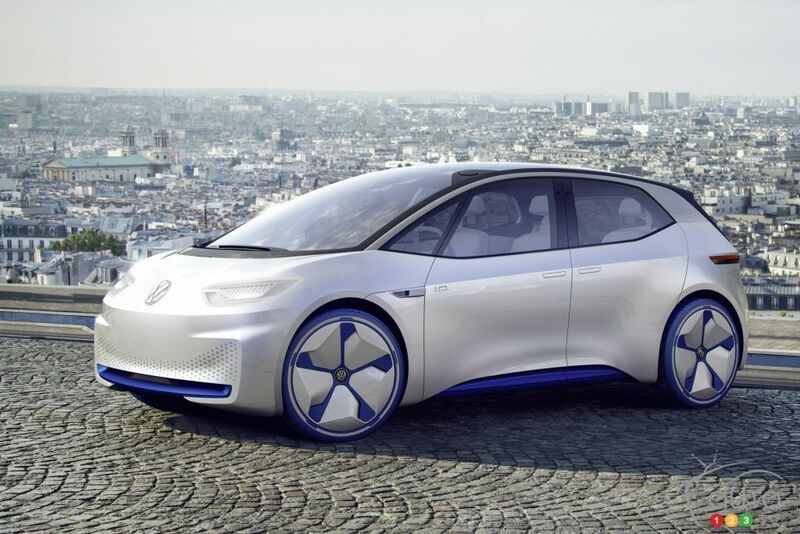 If Volkswagen manages the feat of offering an EV at under $30,000 in our market, its success would be pretty much assured – especially in Quebec and British Columbia, provinces that currently offer incentives on the purchase of EVs. Volkswagen has unveiled the ID. BUGGY, the latest in its series of ID-badged electric-powered concept vehicles, at the Geneva Motor Show.